Hello! My very first fanfiction story was Back & Forth. I had no idea when I began it that it would spawn a trilogy (and some side-stories)! I hope that you enjoy this universe! Series Disclaimer: The characters and events in the Back & Forth universe have been inspired by True Blood and The Southern Vampire Mystery series. Both Alan Ball and Charlaine Harris are responsible for the people and places that I play with in my story. Even the characterizations and characters that I create in my pieces would not be possible without the originals to play off of, so I claim no ownership over them. However, if I ruled the texts, this is how the story would go. THE STORIES IN THE BACK & FORTH UNIVERSE ARE INTENDED FOR MATURE AUDIENCES. 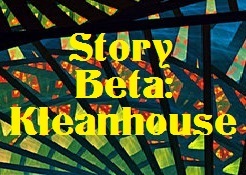 Click the Banner to go to the story you want. This is a sequel to Back and Forth. Now that Sookie & Eric have found their way to each other at last, Bill might just be the least of their worries. How will they deal with the threats that will try to separate them forever? Will their bonds survive? A multi-chapter “interlude” set in the middle of Come Back to Me, Sojourn tells the story of Eric and Sookie’s necessary re-connection and healing after their fight with Russell. “King of Fools” is a one-shot, set in the Back & Forth and Come Back to Me universe. It is a short comedy/parody about the slain villains from the B&F Universe and was written in honor of the Fangreaders Awards. Earned is the third major story in the Back & Forth Universe. It jumps forward in time and focuses on Hunter’s coming of age. Of course, it also continues to explore the enduring romance of Eric and Sookie. Right now (as of April 2016) the story is on hiatus, but I intend to pick of the writing of it in the next several months.